"The weather looks poor until Sunday with plenty of rain and lots of wind so it’s going to be a case of hanging on in there over the first two or three rounds. A pair of fine bad weather players should find success if the forecast is anything to go by." Originally called the Canada Cup, the World Cup of Golf dates right back to 1953 when a Canadian industrialist, John Jay Hopkins, founded the event to encourage international goodwill through the game of golf. It's had a few tweaks over the years and the event's format has been changed a couple of times but there was a return to the old format described below two years ago and they're sticking with that this time around. A total of 28 countries will compete in two-man teams over four rounds of stroke-play. The first and third rounds will be played as four-balls (also referred to as best or better ball) and the second and fourth rounds will be foursomes (sometimes known as alternative shot). The highest ranked player (in September) from each country (choosing to compete) is given the decision as to who partners him and there has been a fair bit of chopping and changing but at the time of writing, these are the teams. A traditional sandbelt track, Metropolitan enjoys a reputation as the best conditioned year-round course in Australia with a rich and long history which includes hosting WGC Match Play (2001), Men's Australian Open, (1930, 1936, 1951, 1979, 1986, 1993, 1997), Australian PGA Championship (1930, 1936, 1951, 1966, 1968), Women's Australian Open (2009) and the Australian Masters (2014). Prior to the 1997 Australian Open, Greg Norman described Metropolitan's pure couch grass fairways as the best he had played on anywhere in the world and during the 2001 EGC-Match Play, a number of the world's top-ranked players compared the condition of the course to Augusta National. The bentgrass greens are large, firm and fast and are hand-mown right to the edge of the greenside bunkers. In total, there are 103 bunkers on the course and almost every hole is flanked by huge stands of Australian native trees. For more on the venue, please see this course guide here. What Will it Take to Win the World Cup of Golf? The weather looks poor until Sunday with plenty of rain and lots of wind so it's going to be a case of hanging on in there over the first two or three rounds. A pair of fine bad weather players should find success if the forecast is anything to go by. A contrast in styles is often thought to make for a good team in this event and that certainly appeared to be the case last time. Here's what Denmark's Thorbjorn Olesen had to say about the team dynamic after their win: "Our mental strength is keeping calm and playing our own game. I wasn't too worried, I thought the birdies would come on the back nine and they did. We play different games, we don't talk much and just play our shots and that's helpful." Olesen is a fabulous frontrunner and a ruthless closer who likes to keep an eye on the leaderboards, whereas his more experienced partner would rather not know how he stands so they made for a contrasting pair but they clearly gelled well. Here's what Soren Kjeldsen had to say about their partnership after they'd secured Denmark's first ever win at the World Cup of Golf: "The psychology (of a team) is really interesting to me. When you get a guy like this, on the back nine you feel you want to die for this guy. I've never felt that before and that team thing is amazing." So contrasting games and even characters seem to be plusses but after the last renewal, it looks like a variation in age is key too. The Danish pair differed in terms of playing styles and age and the same can be said of the Chinese pairing of Ashun Wu and Li Haotong and maybe even the Americans, Jimmy Walker and Rickie Fowler, who both finished in a tie for second. Soren Kjeldsen is 15 years older than Thorbjorn Olesen and the Chinese and American teams were both separated by ten years. Which Nations Have Fared Best Previously? The United States have always taken this nomadic event very seriously and they've won it an incredible 24 times! Ben Hogan and Sam Snead, Arnold Palmer & Snead, Jack Nicklaus and Arnie, Jack and Lee Trevino, David Duval and Tiger Woods and Freddie Couple and Davis Love III (who won it four times in-a-row, are some of the more famous partnerships but even the lesser lights seem to perform well. Gary Woodland partnered Matt Kuchar to victory on the last occasion they were successful in 2011. Behind the States, the Aussies and the South Africans have both won it five times and Spain have been successful four times. This is the third time in-a-row the tournament has been played Down Under and this is the third time in-a-row the home nation has headed the market, Jason Day and Adam Scott prevailed in 2013 but Scott and Marc Leishman started far too slowly last time. The tournament has been staged five times in Australia and the Aussies are two from five on home soil. The pairing is in fine fettle and they're most definitely the worthy favourites. Sandbelt tracks tend to play something akin to a traditional British links so the English pairing of Ian Poulter and Tyrrell Hatton can't be dismissed lightly - especially given their difference in age is exactly the same as the Danish duo that won last time. Wind and rain are as familiar to the English as they are to any other nation on earth so the weather forecast is not a negative but I just wonder if Poults wants this too much. He's failed in numerous attempts with various partners, including his good mate Justin Rose and they're arguably short enough at around 7/1. Team USA boast the best record but I'm not convinced they're the team to play this week. Kyle Stanley is brilliant from tee-to-green but he's a poor putter and Matt Kuchar's weekend performance in the Australian Open was worrying given the conditions he's likely to encounter again this week. This is what he had to say after last week's event: "I just struggled getting the wind right. That was probably the toughest thing. I felt like I kept selecting a club that came up in a bad spot. I thought I hit some decent shots that didn't come up as good as I was hoping." No team grabs me but the Mexicans look a fair price at almost 40/1. 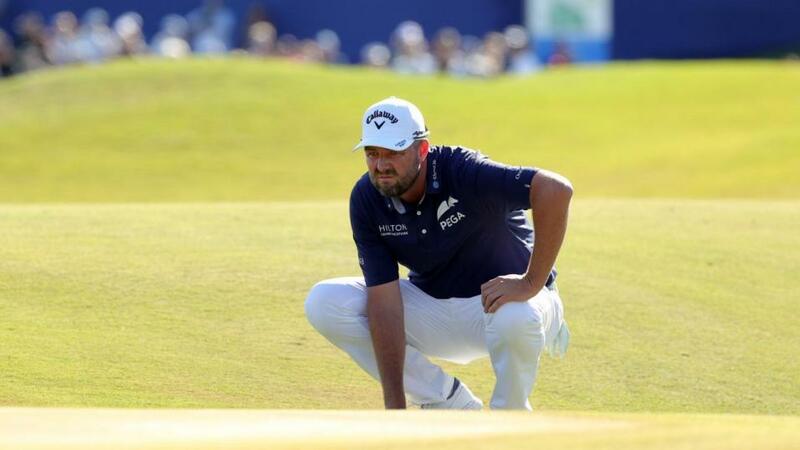 Roberto Diaz is the weakest member of the team but he has some decent form on the Web.com Tour and he's just graduated to the PGA Tour so he could ably assist his stronger playing partner, Abraham Ancer, who only last week romped to victory Down Under at the Australian Open. And it doesn't sound like the conditions will hold any fears for Ancer. This is what he had to say after his victory on Sunday: "I grew up in the wind. Where I went to college was windy as well. I'm not scared of the wind, I feel like it's an advantage if it's windy for me. I just embrace it. I know it's going to be tough but I just try to hit some shots and make it work."